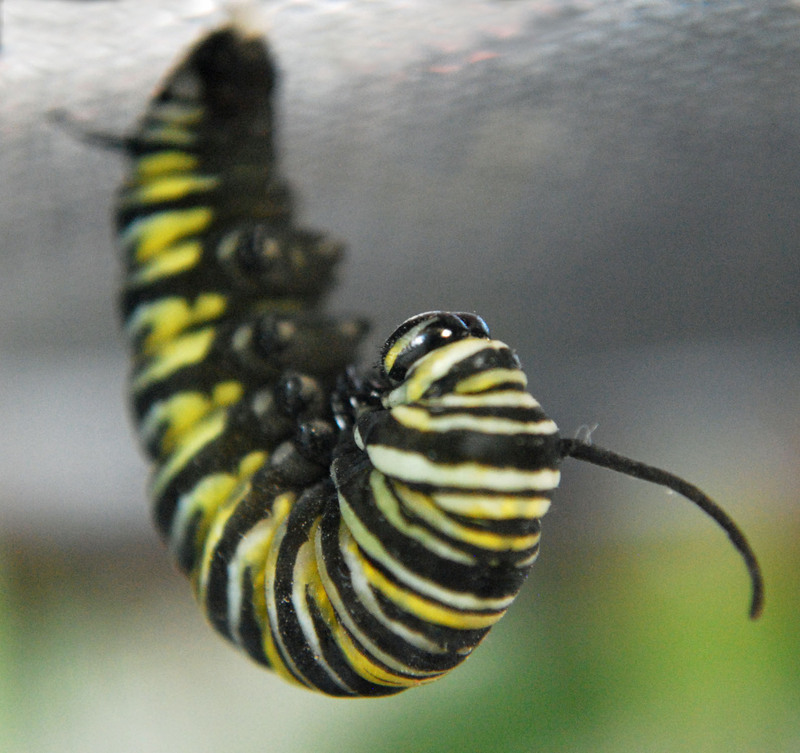 was right in front of the cage, and looking for a spot to form his “J” -that’s when they attach themselves securely to a surface so they can hang down and pupate. He hung like that for several hours, then all of a sudden I noticed that he had straightened out. He was starting to transform! 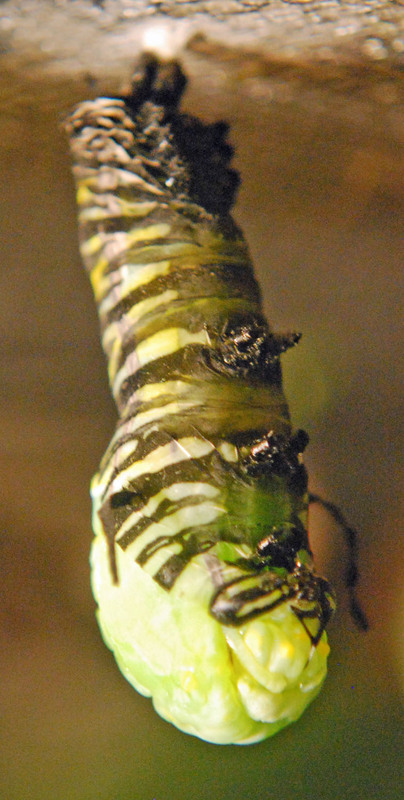 His larval skin split, starting at his head – which is at the bottom. The skin kept splitting higher. 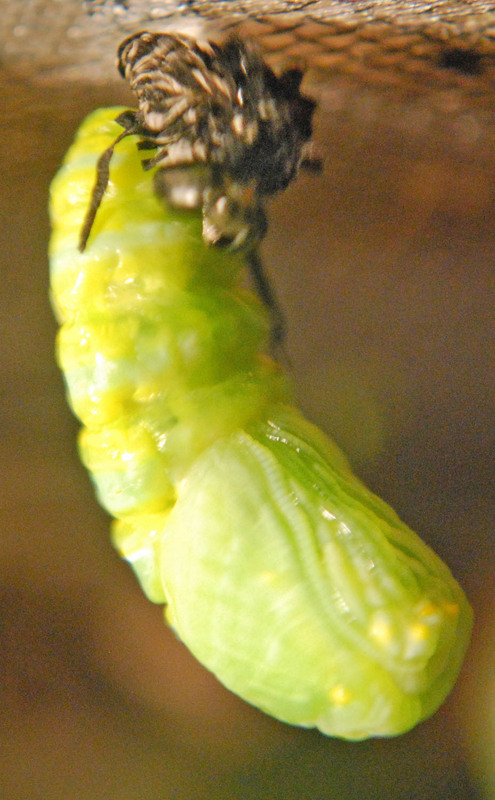 Finally the larval skin was all crumpled at the top. It fell off a second after I took this photo. The chrysalid twists and turns violently during the entire process, which is one reason some of the photos are not completely in focus. I feel so lucky to be able to experience this miracle firsthand, I hope you enjoyed the photos! 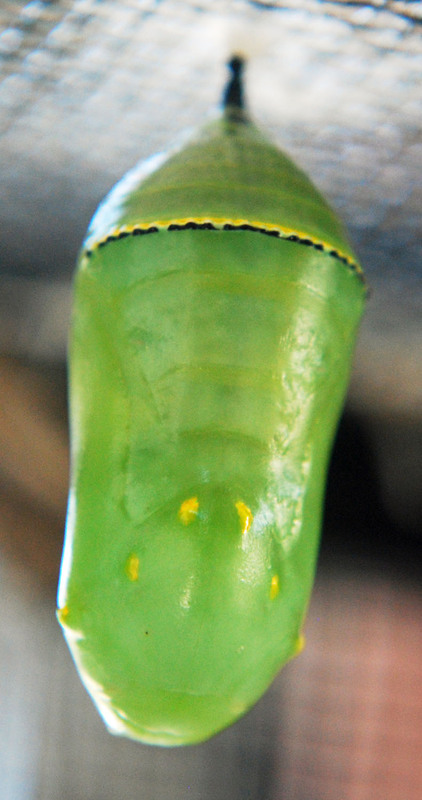 This entry was posted in Insects and butterflies, Nature art and tagged "monarch butterfly", butterflies, caterpillar, chrysalid, chrysalis, monarch, monarch caterpillar, monarch chrysalis, pupae, pupate.